An Instagram video of singer Babes Wodumo, seemingly showing her being beaten by her kwaito star boyfriend Mampintsha, has gone viral on social media. The singer went live on Instagram around one o’clock on Monday morning, in what first looked like a regular live video feed. However, a few seconds into the video the pair can be seen having an argument and Mampintsha is clearly seen slapping Wodumo. In May 2018, Babes went on record to reveal, that the Big Nuz artist had been physically abusing her. 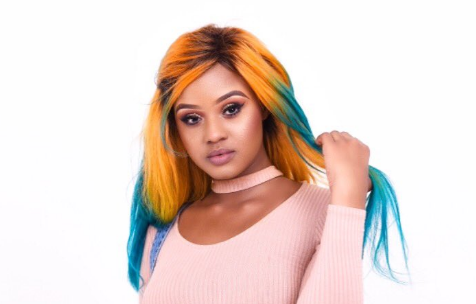 There is huge support for singer Babes Wodumo after an Instagram video went live, showing her being abused by Mampintsha. The live feed showed Mampintsha violently slapping Wodumo several times, as she screams and cries. The Minister of Arts and Culture, Nathi Mthetwa, took to twitter to voice his concern. “We’re absolutely horrified by the actions of Musician Mampintsha caught on video where he brutally abuses internationally celebrated artist, Babes Wodumo. We do not only condemn this senseless act but call on Babes Wodumo to immediately press charges against him,” says Mthethwa. Mampintsha needs to be stopped. I hope they make an example out of him so every man knows that hitting a woman is unacceptable and will not be tolerated. My heart breaks for Babes. Has @SAPoliceService arrested @MampintshaNuz yet!? Any word on that! I heard Babes is safe now. This cannot continue being our reality! Women are not your emotional,Psychological and Physical punching bags! If Babes doesn’t press charges, does anything happen to #Mampintsha considering there’s video evidence? Law Twitter, what can happen in a case like this? The post WARNING GRAPHIC CONTENT: Assault of Babes Wodumo caught on video appeared first on SABC News – Breaking news, special reports, world, business, sport coverage of all South African current events. Africa's news leader..